Dr. Spitzer earned a Ph.D. in Neurobiology and Behavior from Georgia State University in Atlanta, GA, in 2006 and a B.Sc. in Biochemistry from the University of Victoria in British Columbia, Canada. 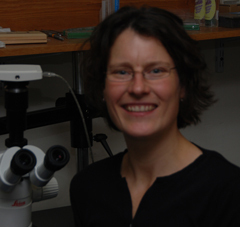 She is currently an associate professor of biological sciences at Marshall University in Huntington, WV.